The Undomesticated Housewife: Welcome to Starducks? I've passed this place a million times and always thought it was very strange. But then I found out they are a wholesaler of Balut. And now it's just hilarious. 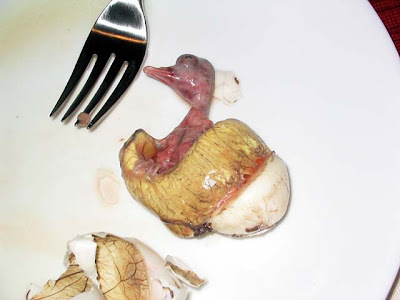 Balut, a national delicacy, is a duck egg with a nearly developed embryo inside. I probably owe it to the Philippines to try it once before I leave. But just the thought of it makes me gag. Only in the Philippines...? Most definitely.